스위스 바젤에 본사를 둔 로슈 (F.Hoffmann-La Roche Ltd.)는 120년 전통의 글로벌 헬스케어 리더로 세계 최대의 바이오 제약 기업이며, 맞춤 의료 분야의 선두주자로서 지속적인 연구개발을 바탕으로 혁신적인 신약 개발과 공급을 위해 노력하고 있습니다. 전세계적으로 약 94,000여 명의 임직원이 근무하고 있으며, 2017년 한 해 매출은 58조 5,750억원(532억 스위스 프랑)으로 연구개발에 약 11조 4,200억원(103억 스위스 프랑)을 투자했습니다. 또한 다우존스 지속가능성 지수 헬스케어 부문에서 10년 연속 1위(2018년 기준)를 차지했습니다. 한국 법인인 ㈜한국로슈는 1983년 설립 이래 한국인의 건강과 삶의 질 향상에 기여해왔습니다. 항암제, 면역 치료제 등 다양한 분야에서 선두적인 혁신 의약품을 제공하고 있을 뿐만 아니라 한국 환자를 위한 임상 개발과 국내 의료계 발전에 끊임없이 힘써왔습니다. 또한 '환자중심주의'를 회사의 출발점이자 최종 목표로 하여 오늘도 환자의 더 나은 내일을 위해 앞장서고 있습니다. 무엇보다 직원들을 위한 다양한 자기 계발의 기회와 우수한 복지 제도, 최적의 근무 환경을 통해 2015년 여성 가족부 주관 가족친화우수기업, 2017년 에이온 휴잇 주관 최고의 직장, 2018년 대한민국 일하기 좋은 100대 기업을 수상하는 등 일하기 좋은 기업으로 자리매김하고 있습니다. 지속 가능한 성장을 목표로 사회 공헌 활동과 윤리 경영, 구성원의 다양성 확대를 실현하고 있는 기업으로서, 2018년 현재 여성 임원 비율이 67%, 전체 직원 중 여성이 50% 이상입니다. 2017년 국내 매출 3,605억원, 항암제 부문 1위를 기록했습니다. 더 자세한 사항은 홈페이지 www.roche.co.kr 또는 www.roche.com을 참고하시기 바랍니다. Establish marketing strategies and plan through identification & understanding of market, customer and environment. Generate and/or seek innovative opportunities aligned with key strategies for continuous growth. Lead to set strong brand positioning to achieve competitive advantage to the business. Identify appropriate resources to support brand marketing strategies and activities. Plan / Develop / Execute / Improve brand initiatives that are aligned with key strategy & deliver business objectives to achieve desired business result. Identify and implement operational efficiencies. Monitor success /effectiveness of marketing acitivities & resources consistently. Manage market issues and lead problem solving. Establish strong partnership with KOLs & medical societies. Ensure good product supply by providing demand forecast. Communicates in open, clear, complete, timely and consistent manner based on mutual respect. Collaborate effectively among cross-functional team for a successful execution & planning of all activities measured in quality and time. Support to set market access strategy & find unmet medical needs via providing market insights to achieve ultimate business goal. Fully understand local SOPs & Code of Conduct and adhere to all relevant regualtions. Adhrere to Roche principles, policies and practices. 1. Minimum 5 years marketing experiences (or relevant) in the pharmaceutical industry. 2. Bachelors or above and majored in Pharmacy, Biology or Chemistry is preferred. 3. Proven analytical, project management, and budget management skills. 4. Strong project management skills including planning, documenting, communicating and delivering the end result on-time and within budget while adhering to the initial strategic direction. 5. Strong presentation skill to buy in business plan or program to senior management and customers. 6. Understand and interpretate scientific / medical data for medical tactic development. 8. Proficient with Microsoft applications (Word, Excel and Powerpoint). * 위 프로그램은 회사 사정에 의해 변경될 수 있습니다. • 면접은 서류전형 합격자에 한해 개별통보합니다. 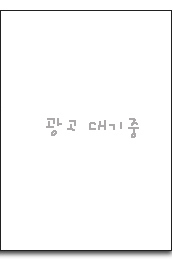 • 모든 서류는 반드시 MS Word로 작성하기 바랍니다. • 제출하신 서류는 일체 반환하지 않습니다. • 입사지원서 내용 중 허위사실이 판명될 경우 입사가 취소될 수 있습니다. • 국가유공자 예우 및 지원에 관한 법률, 독립 유공자예우에 관한 법률에 규정된 취업보호대상자 우대. 본 정보는 (주)한국로슈에서 제공한 자료이며, 파마메디잡는(은) 기재된 내용에 대한 오류와 지연, 사용자가 이를 신뢰하여 취한 조치에 대하여 책임을 지지 않습니다. 본 정보는 파마메디잡의 동의 없이 재배포할 수 없습니다.